Icon Changer (Real Icon or Steal Icon). Add any script or source code to Start Up (HK_Current User, HK_Local Machine). 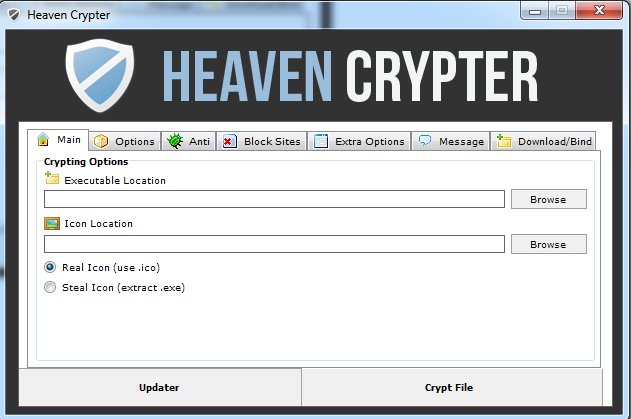 Click To Download Heaven Crypter.